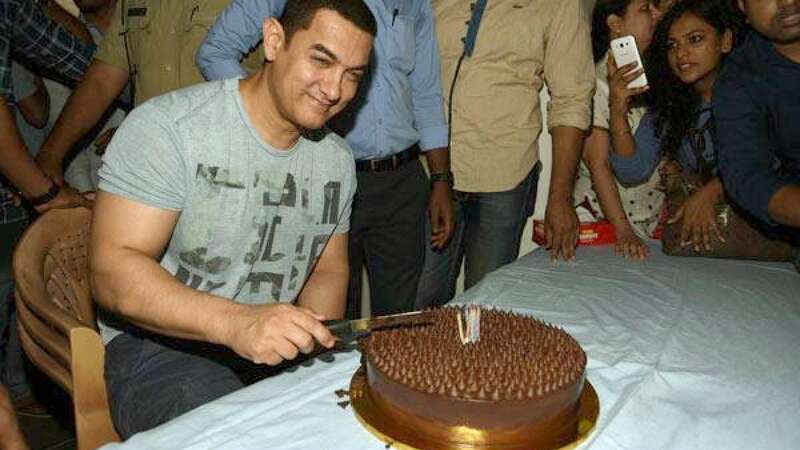 New Delhi : Bollywood’s Mr Perfectionist Aamir Khan has turned 50 on Saturday. Dhoom 3 star celebrated his birthday with media friends on Friday evening at his residence in Mumbai. Laughing out loud he said forget 50s he doesn’t even feel he has completed his 40s. He also added that other two Khans and he himself have stopped ageing. He also mentioned that at heart he still feels he is into his 20s. Mentioning further he said in next 2-3 years all three Khans will look like they have just crossed their 25. As per reports Kiran Rao has planned something special for the actor on successfully making a half ton. Though Aamir seemed to have no clue on where the party will be taking place. Aamir will be next seen as a wrestler in his upcoming move Dangal. Like all, we News Heads also wish him a rocking birthday and a young life forever.